Well happy New Year everyone. 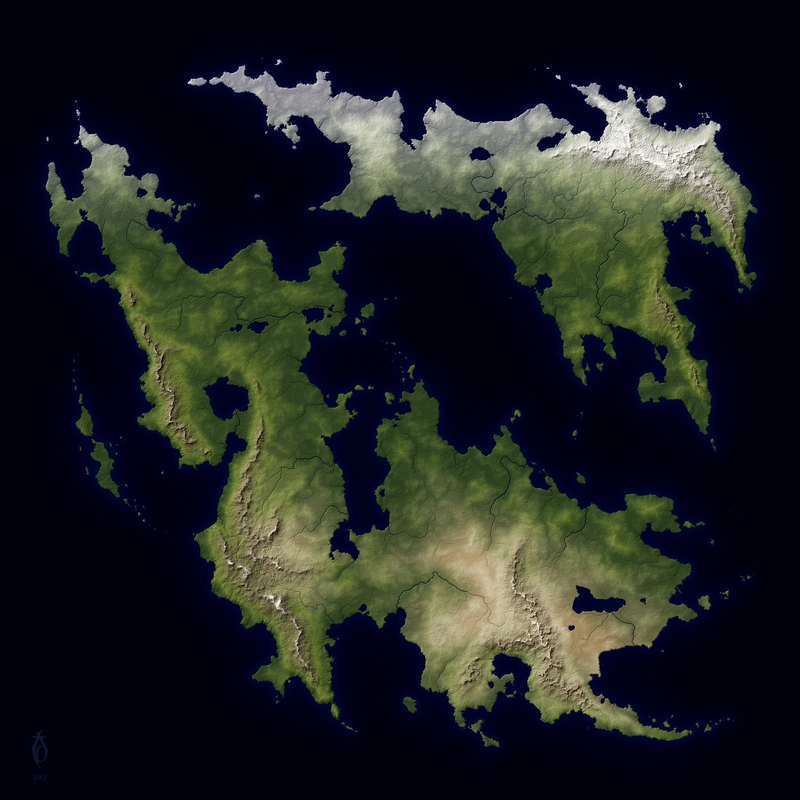 I think I’ll kick off the new year by posting a tutorial on how to create a photorealistic fantasy map similar to the one above. I wrote this tutorial about a year and a half ago for the Cartographers Guild and to date it is probably my most important map-making contribution. The tutorial walks through nearly the entire process of creating the above map using free software (GIMP and Wilbur). I did not explain how to generate the land shape’s however since this was intended as an advanced tutorial and several other tutorials at the CG had touched on this. However I’ll write a quick walk-through on this initial step soon. In addition to the two software programs mentioned above, you may need to download some custom gradient files I’ve created for shading the land (or you could always create your own). Unfortunately I am not able to upload these directly to this post but you can find the attached file at the original tutorial thread here. A link to the tutorial itself is provided below. If you have any questions feel free to leave a comment below. Ah, I’ve come across this before! I think someone linked to it on Reddit. Small world, indeed! Really? That’s cool. Small world indeed. I agreed with your assessment, the mountains area a pain. I gave up on them and used wilbur to erode mine.